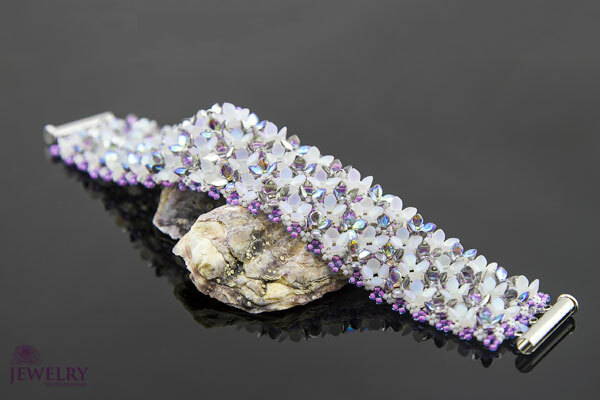 This exotic piece of bracelet has been specially designed to suit the taste of women with a high sense of fashion. 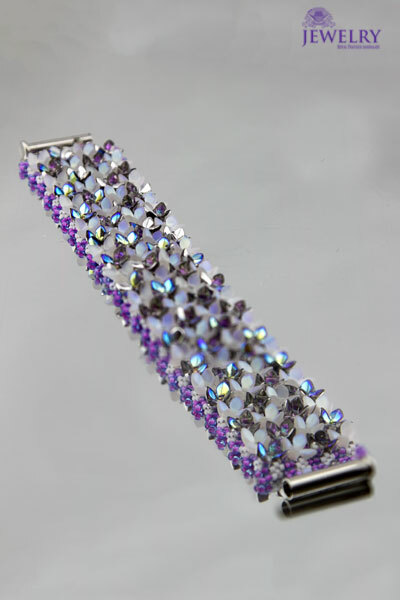 The beautiful bracelet which is made with Toho beads and Preciosa elements is all shades of elegant and gorgeous. 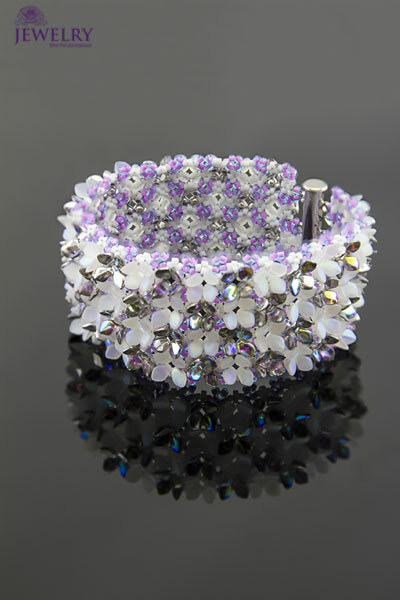 Even though the design seems quite simple, this adorable bracelet is the perfect jewellery to rock to your most anticipated parties or events of the year. 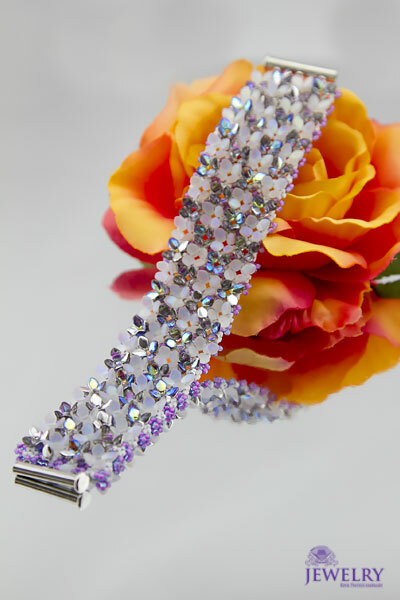 The design of this bracelet also incorporates many small roses that have made it appear classy and luxurious. 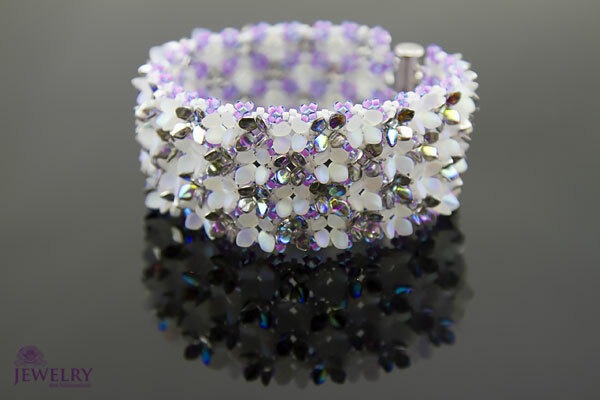 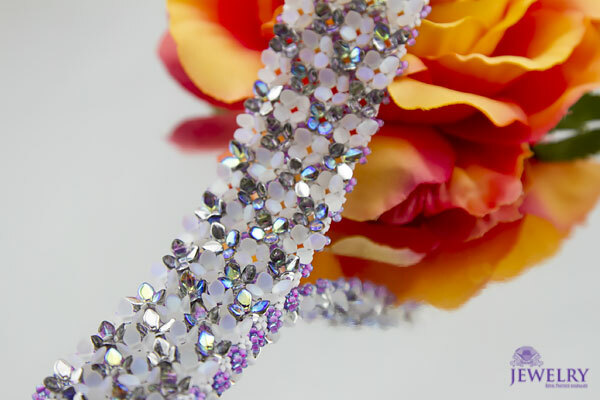 The flower bracelets ooze high fashion and sophistication while also keeping you comfortable. 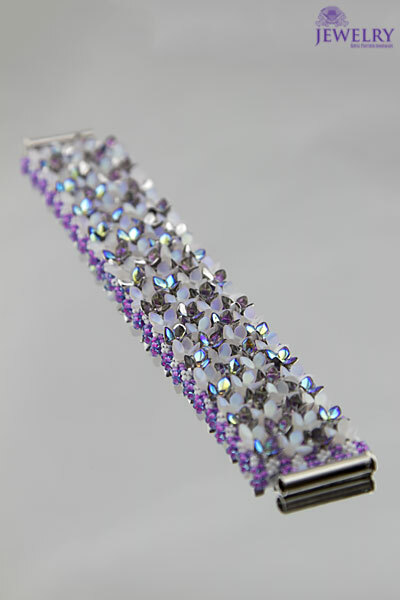 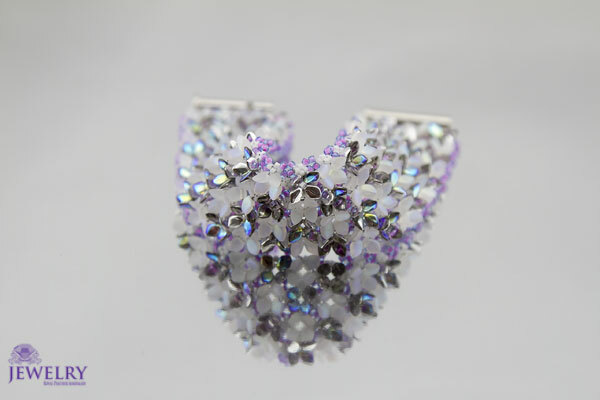 Moreover, this precious piece of bracelet will also enhance your confidence and make you stand out in a nice way. 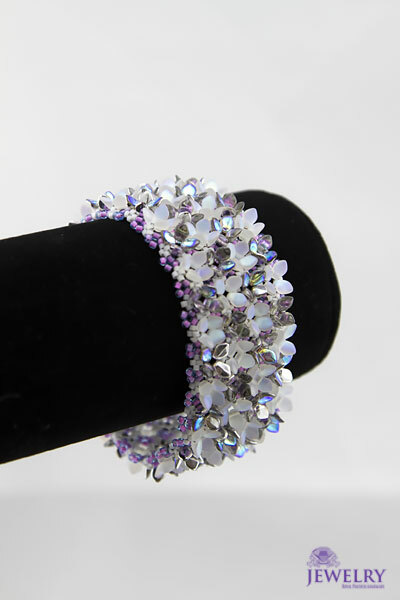 Furthermore, the cute handmade bracelet is also highly durable, since it’s made with top quality material that doesn’t depreciate easily. 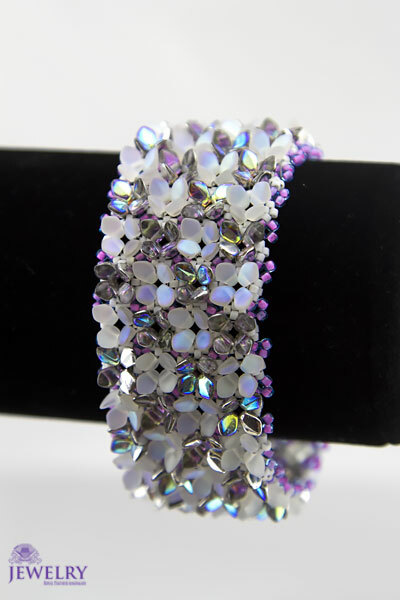 Above all, this bracelet is available in different sizes, so you can always find the right one that fits you.